This cake is special to me for a few reasons. First, it represents the very first piece of fan mail received for this blog. One of my mother’s oldest friends, Bobbi, sent me her mother’s favorite cake recipe, which is also said to be the same recipe used for President Harry Truman’s favorite cake. I was intimidated at first, since it involved real coconuts — both hard to find and hard to open without injury, if you’re me. Bobbi did say that packaged coconut could also be used, but being the stickler for rules that I am…I did nothing. Then my mom nagged repeatedly suggested using her strong words that I make this cake already fergodssake, and Ed’s birthday provided me with the perfect occasion to role up my sleeves and get to work. The cake itself was easy enough to bake, but the frosting was a whole other ballgame. I wound up using packaged unsweetened organic coconut and miniature marshmallows instead of cutting up larger ones, but other than that, I stuck to the recipe. Being more of a pretend baker than a real baker, I tend to gloss over the more scientific side of baking and prefer to think of it as magic. Magic, however, didn’t save Miss Etta’s frosting. In short, it was a hot mess. A hot, sticky mess. I did manage to salvage it and slap together something which resembled a birthday cake for Ed, and the whole family did enjoy it. But is there such a thing as bad cake? Not around here. As my regular readers know, I really don’t bother posting the recipes which don’t work on this blog, but I am making an exception today for two reasons: 1) See second paragraph, first sentence. 2) I have a thing for historic recipes and family favorites, so if Bobbi and the ghost of President Harry S. Truman tell me this cake is awesome (when made properly), I choose to believe them. I am hoping someone a bit more skilled in The Art of Baking will find this recipe of use. Thank you for sharing it with me, Bobbi. Sorry, no pictures. Well, okay, just one below which I took before things went downhill. Bless my heart, I tried. Miss Etta’s Fresh Coconut Cake by Miss Etta Patterson, from The Florida Cookbook by Jeanne Voltz and Caroline Stuart. Butter three 9-inch layer cake pans and line the bottoms with parchment; butter the paper and preheat over to 350 degrees. Sift together flour, baking soda and salt. In a large bowl, cream the butter until fluffy. Add sugar gradually, beating until creamy. Beat in the eggs, one at a time, and then the vanilla. Add the flour mixture alternately with the milk mixture in four or five portions, beginning and ending with the flour, folding gently. Turn the batter into prepared pans and stagger the pans on two oven racks set near the middle, so that no pan is directly over another. Bake 25 to 30 minutes or until cake tester comes out moist but with no batter clinging. Cool for 10 minutes in pan and turn on to wire racks to cool completely. Frosting: Combine water and vinegar in heavy saucepan. Bring to a boil and stir in sugar until dissolved, cover and boil for 2 minutes to melt crystals on the side of the pan; uncover and boil without stirring over moderate heat until the syrup spins a 4-inch thread (238 degrees on a candy thermometer). In a large bowl, beat the egg whites until stiff but not dry. Pour the hot syrup in a thin stream over the egg whites, beating constantly. Add the marshmallow, a few pieces at a time, beating in the syrup until all are used. Add the vanilla and continue to beat until cool and thick enough to spread. Frost and stack the layers, pressing in as much coconut as will cling easily before stacking. Frost the top and the side and press the remaining coconut on top and around the cake. Allow the cake to stand 2 to 3 hours before cutting. Slice in thin wedges, as this cake is tall and very rich. This entry was posted in Desserts and tagged coconut layer cake, coconut marshmallow frosting, Harry S. Truman's favorite cake, Miss Etta's coconut cake by Mom Mom's Apron. Bookmark the permalink. Anyway, that was one damn fine tasting cake. I won’t be making it again because I had to start a week ahead of time just to make the extract, then adding in the milk and cream was just too much. Just shredding wasn’t that bad. But more importantly, did Ed like it? 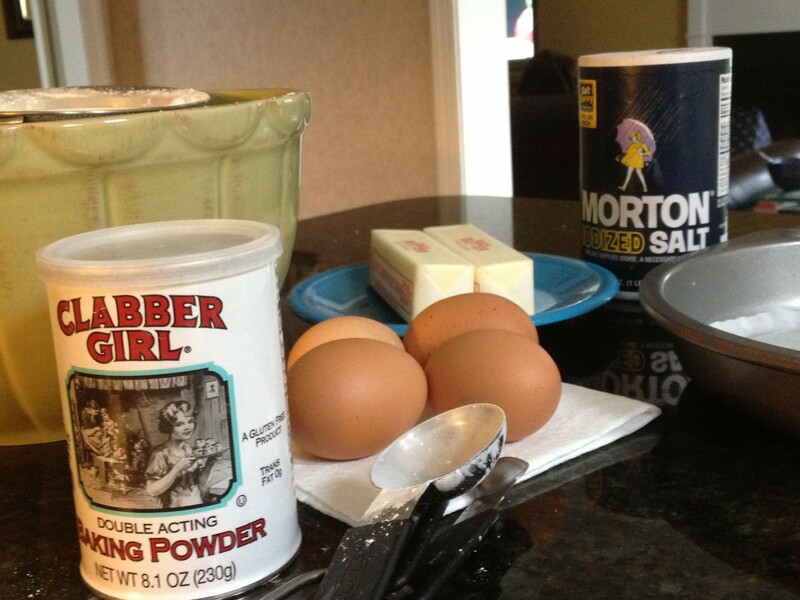 Okay, sorry, but only a crazy person would make that Alton Brown cake! Ed did enjoy Miss Etta’s cake! He’s easy, though, and always appreciative. OMG I have been trying for years to find this recipe!!!! I found it in a cookbook in the St Regis in Florida…left the hotel and realized when I got home i didnt haVE THE WHOLE RECIPE…Thank You Thank You …………THIS IS IT!!!!!!!!!!!! now I’m finally going to make Miss Ettas coconut cake!!!!!!!!!!!!! Wow, I’m so happy to hear this! You’ll have to let me know how it turned out for you. Maybe send me a picture, too! bless you Miss Etta..hope your lookin over my shoulder when I make it…!!!!! My mother used to make this cake for very special occasions in the ‘50s. She used unsweetened coconut. Been looking for this recipe forever. This is a wonderful cake. I’m so glad to hear it! One of these days, I might attempt it again.